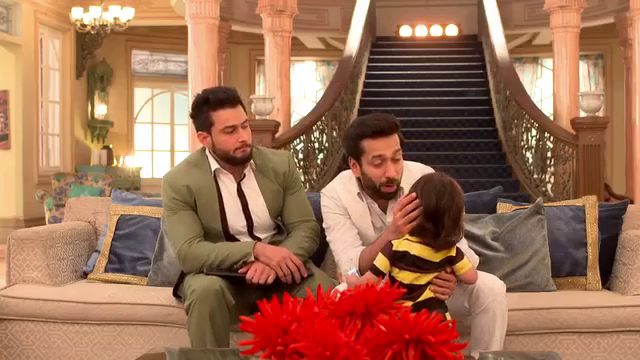 Did you ever imagine a scenario when the great mighty Shivaay Singh Oberoi would play around with his toddler son giving least attention to his little but grown up brother? If you did, then this moment will be an absolute delight for you. Harneet Singh, the show runner of Ishqbaaz, recently posted a video on her Instagram account. 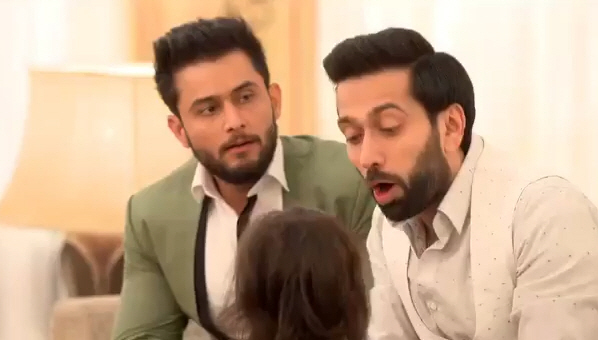 The video shows an enthusiastic Shivaay trying to entertain his son who has just learned how to speak ‘Pa’. But Rudra on the other hand expected some praise from his big brother after he cracked a great deal. But Alas! It seems his nephew just snatched away his brownie moment his ‘bhaiya’. A sad and disappointed Rudra is the highlight in the scene. The scene automatically brings a smile on your face because of the familiar feeling it gives. It is much like seeing your favourite people after a long time. And when you see that they had been exactly the way you left them, the joy is on a complete different level. Big thanks to Harneet Singh for bringing out this golden moment from the Ishqbaaz archives. We just felt that Rudra can be a more kiddish than a toddler at times! And yes, we miss his banter with his bhaiya. Rudra is even more of a kid than Shivaansh!!! !